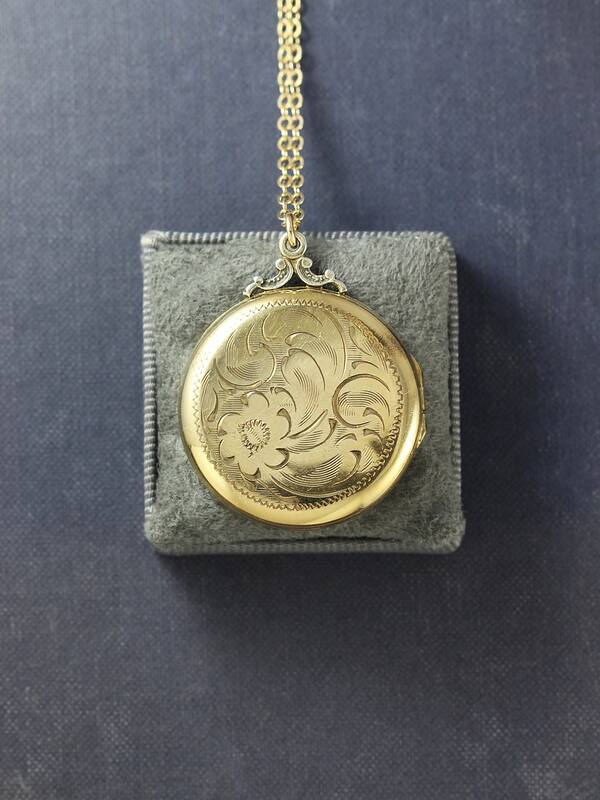 A beautiful, large round gold filled locket is engraved with a single forget me not flower and swirling vines. 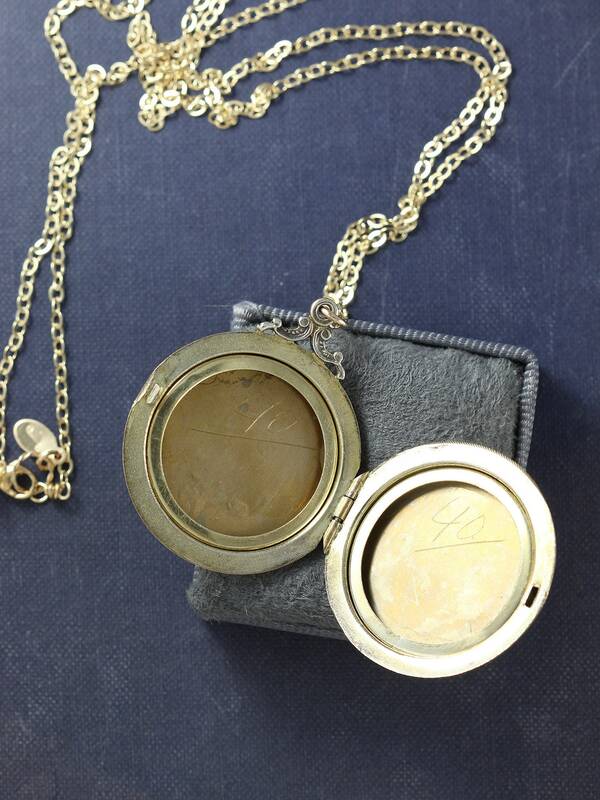 The vintage gold filled locket opens to reveal two removable frames waiting to hold your beloved photographs. 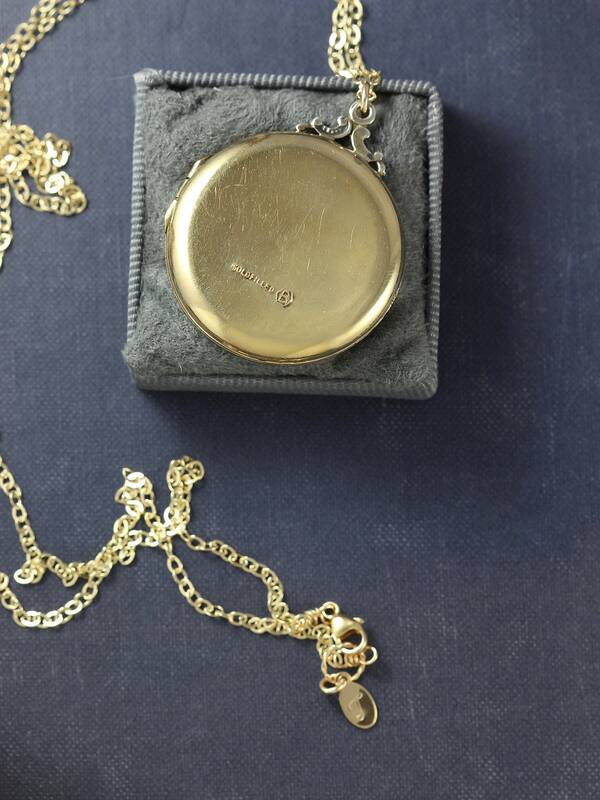 While I try to keep my collection strictly to unblemished lockets, this locket does have a little wear to the gold (primarily on the upper back edge). 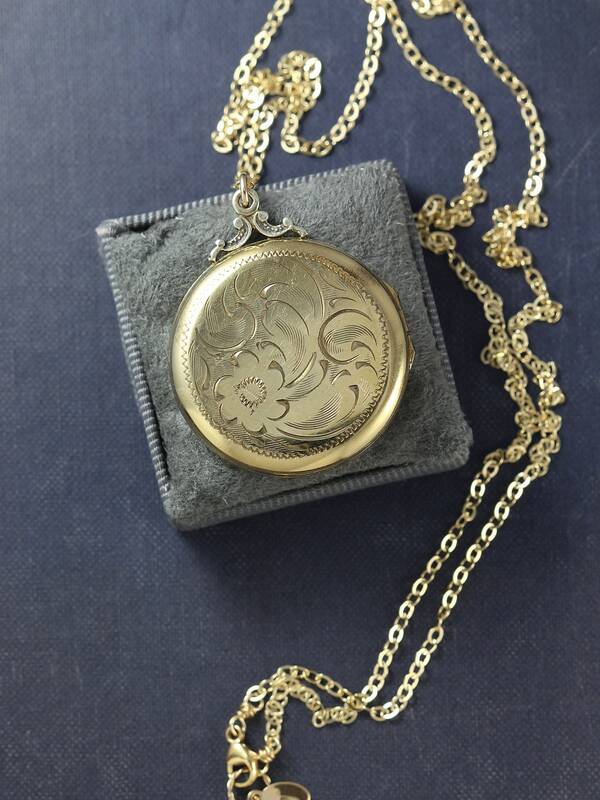 However, the design is so hard to come by I could not pass up this wonderful piece. 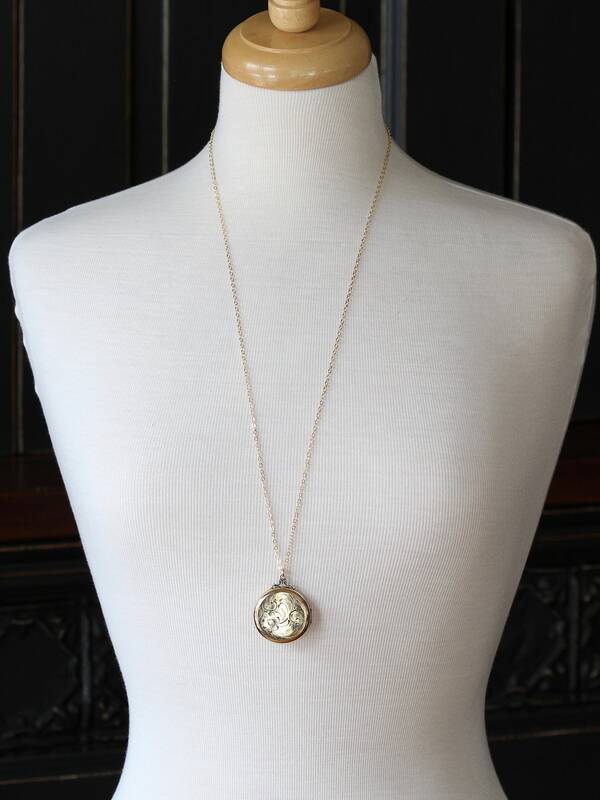 This locket dangles on a new long 14k gold filled chain hand finished with a 14k gold filled trigger lobster clasp and ring.